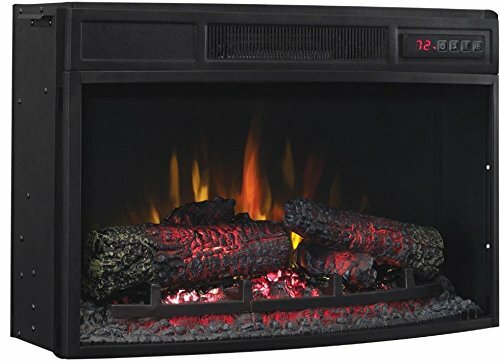 5200 BTUs, 23″ 3D Infrared Quartz Electric Fireplace Insert with Safer PlugTM and Safer SensorTM. Patent pending 3D flame effect technology offers a layered flame effect to create a realistic fire with five adjustable brightness and speed settings. The infrared quartz heat helps to deal with the natural humidity in the air, resulting in moist, comfortable heat without drying out the room’s air. Providing supplemental zone heating for a big room and showcasing stunning flame effects, this electric fireplace is sure to create a welcoming environment. Patent pending 3D flame effect technology offers a layered flame effect to create a in point of fact realistic fire experience. 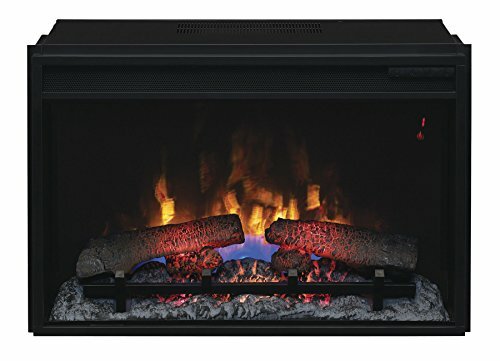 The customizable 3D flame effect technology offers 125 selectable effect options to create your ideal fire, displayed on a realistic log set and ember bed. 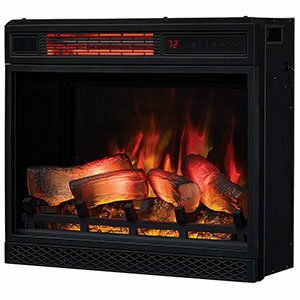 Five flame speed settings help you adjust from a fast roaring fire down to a gentle flickering flame, even as five adjustable brightness settings allow you to make a choice the very best fire display for any occasion. 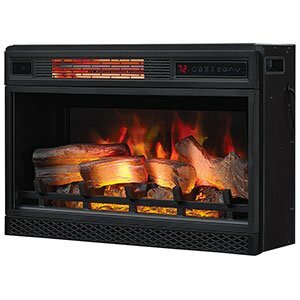 Use this fireplace worry-free as it’s equipped with patent pending Safer PlugTM and Safer SensorTM fire prevention technology. Safer PlugTM frequently monitors the temperature of the plug, and will turn off mechanically if overheating occurs. Safer SensorTM fire prevention technology alerts you when the heater is obstructed and will mechanically shut off to prevent damage. 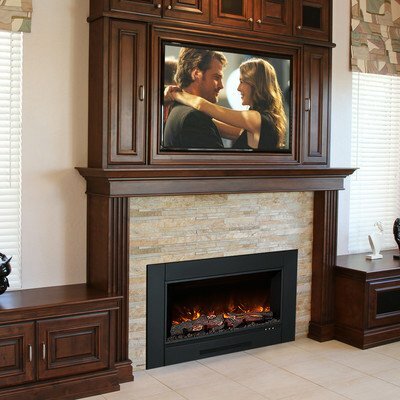 This insert powers the LED lights on compatible TV stands and mantels.